I love winter, but more than my love for winter is my insatiable desire for powder. It is surely one of the purest pursuits available to man. The moments we experience while skiing untracked slopes is akin to quiet meditation, far away from a world that is so frantic and nonstop. I have two young children and I want this environment to still be around when they have families of their own. A few years ago my hypocrisy hit me hard. I decided there was selfishness in my actions, in the way I lived, in the way I accessed adventures and in what I was teaching my children. So I took a hard look at my lifestyle. There are many carbon footprint calculators online and one quickly told me the honest truth about my impact on Earth. It was huge. In a few areas it was glaringly obvious what I needed to do. I went dark for many months, searching within myself, trying to determine what I was willing to sacrifice. Would these sacrifices be hard, and would they really be worth it? I realized that my love for powder was adding drastically to climate change. Not only was I doing all these things myself, I was also influencing others to do the same. Was I ready to forgo the perks of my life to try and ensure that my kids will be able to experience what I love so much? If so, what actions could I do that would help ensure this? First, I needed to curtail flying long distances. This seemed easy enough since I moved to Revelstoke because of the endless skiing opportunities. Having more than my share of international travel, it was time to stay local and explore my backyard more. It turned out this was more rewarding; the adventures keep resonating for years to come in familiar locales, while memories of first descents in places around the world I’ve never seen again fade. When I ended my heli-guide career, it was not as hard as I thought. I had become an alpine touring guide so I could wander slowly around the mountains in wonder of their beauty, knowing that the turns you earn are always the sweetest. As it turns out, giving up eating meat is one of the simplest and biggest changes most of us can do. This was hard for me at first since I love sausages, burgers, steaks, ribs and more. My family made the transition by becoming weekday vegetarians, allowing us to savour meat on weekends and slowly adapt to vegetarianism. Now, a year and a half later, I rarely eat meat. Another biggie for me was my F-350. This truck was a symbol of how much of a badass outdoorsman I was. It was a reflection of how I wanted to be seen: big, bold, go anywhere, anytime. Coupled with the snowmobile in the back, unstoppable. Sadly, it was also a true reflection of who I was—someone who cared little about his effect on the world, and only about himself and his personal gratification. So I sold the truck, gave away the snowmobile and bought an electric vehicle. 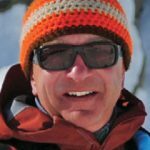 Living in Revelstoke, where our electricity is 98 per cent hydro-powered, it made a lot of sense in shrinking my footprint. I worried about winter temperatures, snow and many other unknowns. Now, 35,000 km later, I know that this hatchback has not hampered my access to trailheads and adventures at all. As an alpine skier, I also choose to ski at resorts that show an environmental responsibility. Whistler, for instance, is aiming at having a zero operational footprint. Blue Mountain is part of Sustainable Slopes, an environmental charter for ski resorts. Many others recognize the importance of the environment. More than a year later that online carbon footprint calculator shows that my personal footprint has been halved. I have climbed and skied off 40 mountains throughout the U.S. and Canada, and had a blast the whole time. I have sacrificed some adventures to foreign lands, but I have also done things in my backyard that will remain with me forever. Most important, I have stepped away from being a part of the problem and looked at solutions to help. Progress, not perfection, is all I can aim for. This allows me to feel better, knowing that maybe if enough change happens, powder skiing will be around for my great-great grandkids. 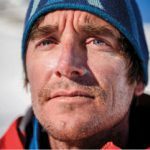 Greg Hill is a passionate backcountry skier, who has explored first descents, made epic traverses, set endurance records and now is embracing sustainable skiing. I’ve never had anything against people who in their personal habits avoid waste and mindless consumption, repair and maintain rather than throw away, fix leaking faucets or boat engines, don’t litter, like to grow or raise their own food, and look after their natural surroundings. I try to be that way myself. But these habits didn’t spontaneously arise in the new millennium; they weren’t brilliant discoveries bestowed by the Sierra Club upon a benighted society. My mama taught me never to litter—basically as soon as I could walk—she hated plastic, she reused everything we owned until it was rags or scrap metal, and she dried our laundry on the line. Nor do I promote casually “increasing our carbon footprint.” If a ski resort wants to source all its electricity from hydro generation (not that hard in B.C. or Quebec), it should. The (non)-sound of electric cars gliding out of a parking lot is more calming and less smelly than the usual convoy of snowmobile-hauling diesels. Cheaper solar panels, better batteries and micro hydro-generators enable some backcountry operators to keep the lights on with little or any fossil fuel. That’s all great. And if individual cabin owners like to virtue-signal by encrustulating their roofs with solar panels and little windmills, who am I to judge? I built my own house for maximum solar gain. Enough sunlight streams through our south-facing windows that on a bright winter’s day, even at -25°, my furnace doesn’t come on at all from 9:00 a.m. until after dark. Having ridden out the lunatic government-promoted rush to install ugly and mercury-laced compact fluorescent lightbulbs (CFL) by purchasing a lifetime’s supply of incandescents, I’m now happily switching to newer LED bulbs. They will, in fact and not just fantasy, pay for themselves in energy savings without sacrificing light quality or aesthetics. So far this is about personal beliefs and choices or sound business decisions, but I don’t want to be told how to live. A progressive, it’s been said, is someone who reaches into your shower to turn down the temperature. As much as is possible in today’s hyper-regulated world, I resist allowing sanctimonious academics, often foreign-funded environmental groups and arrogant bureaucrats to figuratively turn down my own shower. I don’t think people need to feel guilty every time they start the car. Even if you fervently “believe in” climate change, things are getting better. The greatest reduction in greenhouse gas emissions over the past several years has occurred in—wait for it—the U.S., even amidst its economic boom. That’s largely thanks to the ongoing switch to natural gas. If you think cutting CO2 emissions is important, then hydraulic fracturing has been your biggest friend, having been one of the three key technologies in making natural gas consistently cheap enough to displace coal and fuel oil. Nor do I want further billions wasted on green energy subsidies and policies that jack up electricity prices, or a carbon tax that burdens millions of families while accomplishing nothing beyond filling another government slush fund. Before you pound out your apoplectic letter to Ski Canada editors Iain and Anne: it’s easily confirmable that attempts to transform well-functioning mixed-source energy systems into idealized “green” systems failed catastrophically in Spain, Germany, Denmark and the U.K. A notable feature of Germany’s calamitous “Energiewende” has been to add coal-fired electricity generation to compensate for the sheer unreliability of its vast new array of wind and solar power (as well as closure of its zero-emissions nuclear plants). China, meanwhile, added more coal-fired generating capacity in the first two months of 2016 alone than Alberta ever had in total—meaning Alberta shutting down all its coal plants is accomplishing less than nothing. Chinese companies continue to build coal-fired plants by the hundreds. An excessive fixation on being green not only represents economic suicide, it’s a futile suicide at that. And at a time when most environmental indicators are getting better. From European rivers that actually were heavy-metal-laced sewers in which barely an eel could survive, we again have salmon and trout running up rivers like the Rhine and Seine. Does anyone even talk about lead anymore? The recent scandal over lead contaminating the water in Flint, Michigan, is a rare exception that proves just how little lead is even mentioned anymore. How about soot, which for hundreds of years soiled every town and city, shortening billions of human lives? Today, it only happens during forest fire season (and in developing countries that still burn wood and coal). These and many other fantastic accomplishments are masked by the media and environmental groups’ neurotic fixations on the next big catastrophe (like plastic straws) and on carbon, seen by some incorrectly as an aberrant, toxic substance. So, to all those who want to live frugally, modestly, cleanly, I say bravo! Just leave me alone to make my own choices. 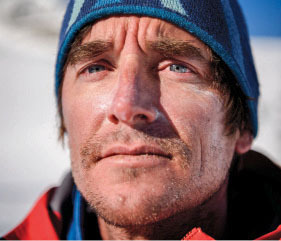 George Koch has travelled, skied and lived cleanly in many countries. 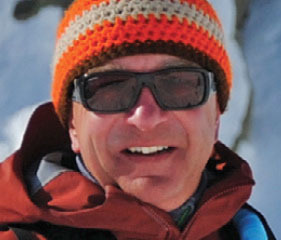 He has been a senior contributor to Ski Canada for 30 of his 32 years as a journalist.